Researchers from Chalmers University developed a new graphene-based room-temperature spin field-effect transistor (G-FET). 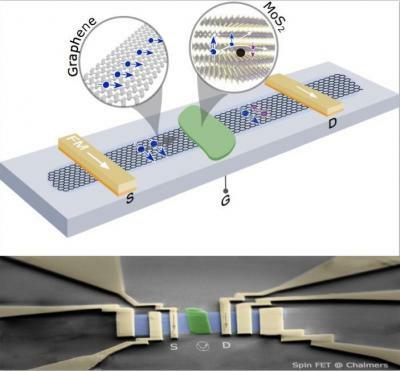 As part of the research, it was demonstrated that the spin characteristics of graphene can be electrically regulated in a controlled way, even at an ambient temperature. This structure is not only useful to make spin-logic devices - it can also be used to integrate device-level magnetic memory (MRAM) elements.